A spectacular trumpeter with a very wide range, a beautiful tone, and the ability to blend together many influences into his own style, Byron Stripling is also the artistic director of the Columbus Jazz Orchestra, leader of his own quartet, and constantly in demand to play with pops orchestras around the world. Byron is an extroverted performer who brings the audience into his music. The happiness that he exudes through his trumpet, his vocals and his words is reminiscent of Louis Armstrong, yet very much his own. 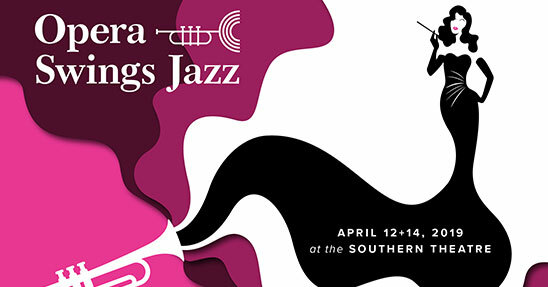 Byron Stripling was born in Atlanta, the son of a classical singer. “I heard gospel music in church early on. In our house, music was essential to everything. My father loved jazz including Miles Davis, Clark Terry and Louis Armstrong. My brother played clarinet and sax and I played trumpet, starting when I was ten or eleven. I did a lot of singing from the start because, when your father is the choir director, you have to sing whatever he needs each Sunday.” Due to his father’s work, Byron’s youth was spent in several locations including Atlanta, Kentucky, Colorado, Minnesota, St. Louis and Texas. Originally Byron enrolled at the Eastman School of Music with plans to become a classical trumpeter. “I loved classical music but my heart kept on going to Clifford Brown, Lee Morgan and Kenny Dorham.” Already very technically skilled, he met Clark Terry during his freshman year and, after Terry heard him play, he asked Byron to join his big band. The 12-week tour was Byron’s first trip to Europe and he had the opportunity to start friendships with such players as Branford Marsalis and Conrad Herwig. After returning to school, he was three months away from graduation when he realized that he would graduate with no gig. Byron called Clark Terry and asked what he should do now. “Clark called me back a short time later, said that he had talked to Lionel Hampton, and that Lionel wanted to offer me a job. The problem was that Lionel wanted me to join the band right then. I jumped at the chance and never went back to getting my degree. Performing was the most important thing for me.” It ended up being a very good move, starting Byron Stripling in the music business. During his year with Hampton, Byron was featured each night, usually on “When You’re Smiling.” “He told me to play simple for him and he pushed me a lot in the direction of Louis Armstrong, whose music I loved anyway.” Next was a stint with the Woody Herman Orchestra and then in 1985, the trumpeter joined the Count Basie Orchestra, playing with the band on and off for four years during the periods when it was led by Thad Jones and Frank Foster. During a few months Dizzy Gillespie and Billy Eckstine toured with the band. He also had opportunities to play with orchestras led by Gillespie and Buck Clayton. Byron proved to be both a superb lead player and a colorful soloist who was quickly learning how to excite audiences. In 1988, after auditions were held all over the country, Byron Stripling was picked to play the lead in the musical Satchmo: America’s Musical Legend. After opening in New Orleans, the show played in Atlanta, the Kennedy Center and North Carolina before finally closing in Boston. “For me, it was important as being one of the ways in which I learned how to integrate entertainment into a musical presentation in a comfortable way.” Later, Byron continued acting on an episode of the Young Indiana Jones Chronicles television series. In 1989, Byron Stripling first played with the Boston Pops Orchestra. “I had the opportunity to appear on the Boston Pops television show when it was conducted by John Williams. That has since led to a great deal of work with pops orchestras.” Byron developed several different shows that he performs with orchestras and so far he has appeared with over 50 different symphony and pops orchestras including the Boston Pops under the direction of Keith Lockhart and John Williams, the Pittsburgh Symphony, Detroit Symphony, Seattle Symphony, Baltimore Symphony, Minnesota Orchestra, National Symphony, St. Louis Symphony, Vancouver Symphony, Utah Symphony and the Toronto Symphony. 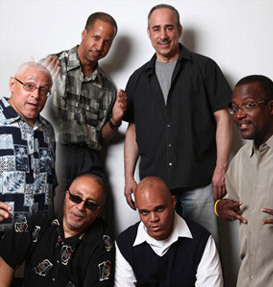 Byron has also performed with the Lincoln Center Jazz Orchestra, the Carnegie Hall Jazz Band and the GRP All Star Big Band; he has worked in the studios; and his trumpet has been heard on numerous soundtracks of films and Broadway shows. A few years ago he was featured at the Monterey Jazz Festival with Dave Brubeck. 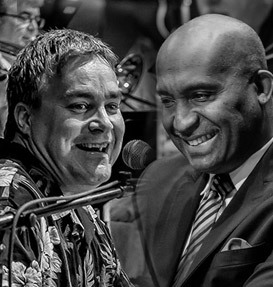 In 2002, Byron Stripling became the artistic director and conductor of the Columbus Jazz Orchestra. 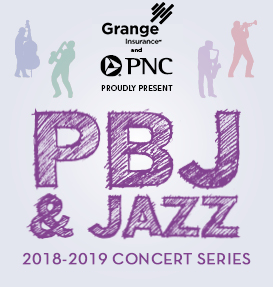 He had performed previously with the Columbus Jazz Orchestra and, when the founder left after 30 years, Byron was the logical person to become his successor. 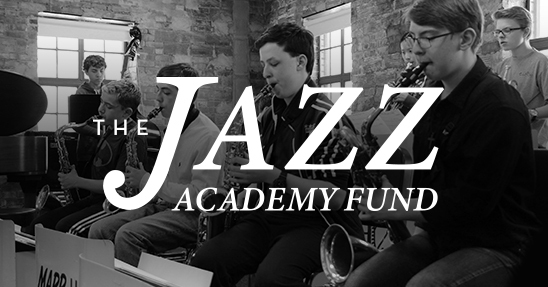 “The Columbus Jazz Orchestra is an incredible organization that performs over 50 concerts a year in a beautiful concert hall. I take care of the programming, decide who the guest artists will be, come up with the concept, balance the artistic and the commercial, and work on any aspects of production that need help.” Byron has presented such guest artists as Branford Marsalis, Chuck Mangione, Patti Austin, John Pizzarelli, Mavis Staples, Melba Moore and Wycliffe Gordon but remains the orchestra’s biggest draw. His performances are full of remarkable musicianship, wit, showmanship, and a joyous spirit. 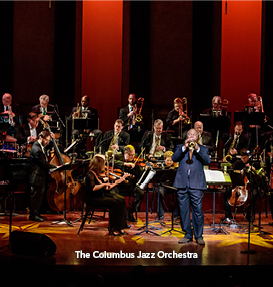 While the Columbus Jazz Orchestra, which recently recorded The Colors of Jazz, takes up a portion of Byron Stripling’s time, he also makes many guest appearances with pops orchestras, conducts occasional clinics and seminars at colleges and high schools, and tours extensively with his own quartet. Byron gets more of an opportunity to stretch out in the latter setting, making appearances at many festivals and clubs. He has recorded as a leader (Stripling Now, Trumpet blowingly Yours, and Byron, Get One Free) and is well featured with the New York All Stars on the CDs We Love You, Louis and Play More Music Of Louis Armstrong. Byron can also be heard on CDs with Tony Bennett, Natalie Cole, Lena Horne, Sonny Rollins, Paquito D’Rivera, Gerry Mulligan, J.J. Johnson, Carla Bley, Jim Hall, Jack McDuff, Freddie Cole, Carol Sloane Benny Green, the Joe Henderson Big Band, the Count Basie Orchestra, the GRP All-Star Band, The Carnegie Hall Jazz Band and numerous Broadway cast albums. 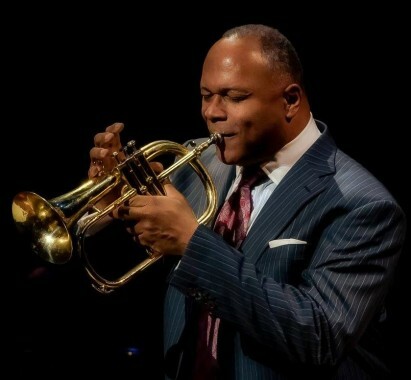 One of the giants of the trumpet and an irresistible entertainer, Byron Stripling is always well worth seeing and hearing. One looks forward to his future accomplishments.